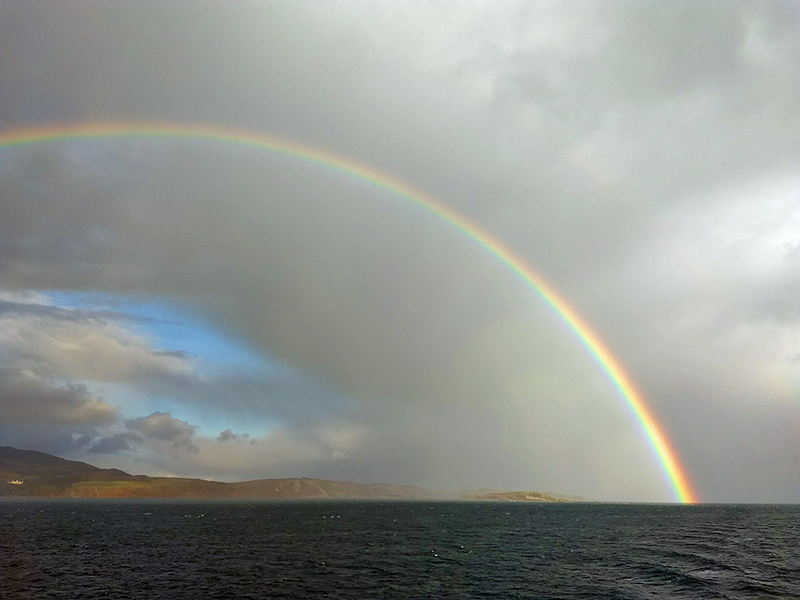 After a heavy rain shower I decided to leave the RSPB birdwatching hide at Loch Gruinart. 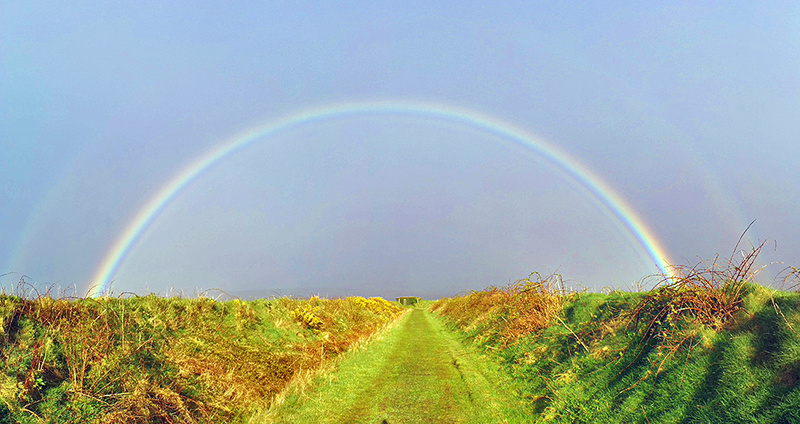 Luckily I turned around on my way to the car to spot this (double) rainbow over the old hide. 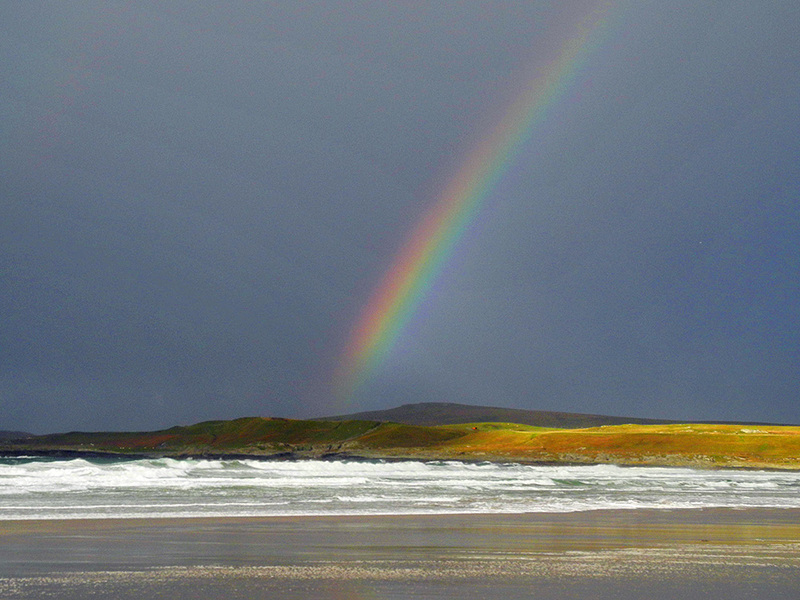 Looking north west from Kilchoman beach on the west coast of Islay, a colourful rainbow just north of Machir Bay.